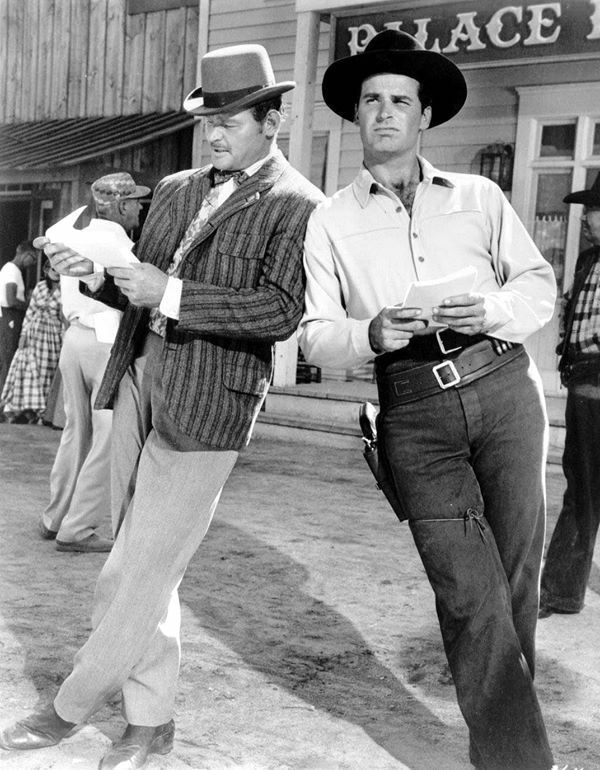 James Garner | 50 Westerns From The 50s. 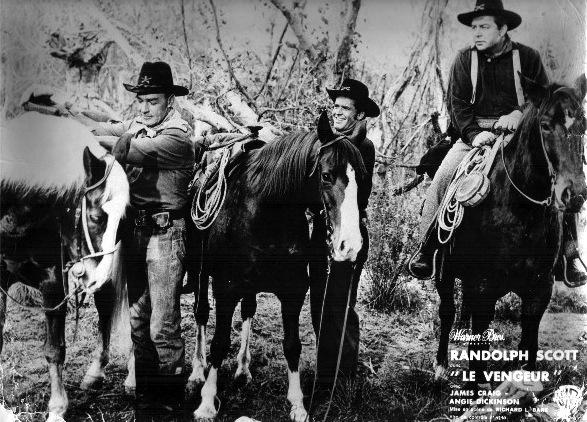 DVD Review: Shoot-Out At Medicine Bend (1957). 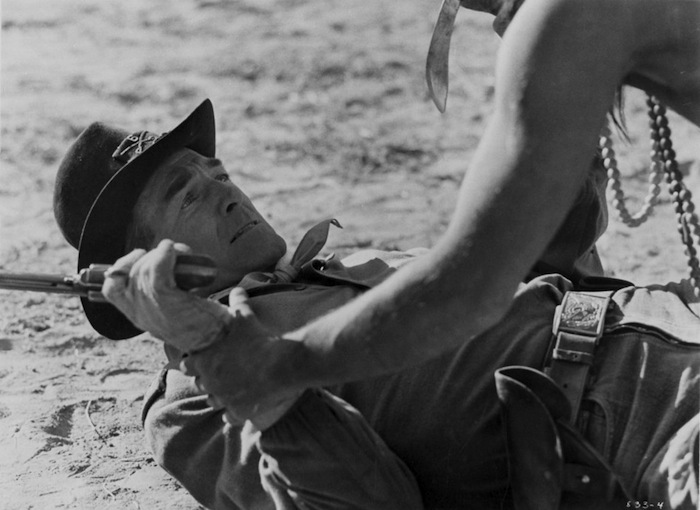 CAST: Randolph Scott (Capt. Buck Devlin), James Craig (Ep Clark), Angie Dickinson (Priscilla King), Dani Crayne (Nell Garrison), James Garner (Sgt. John Maitland), Gordon Jones (Pvt. Wilbur “Will” Clegg), Trevor Bardette (Sheriff Bob Massey), Don Beddoe (Mayor Sam Pelley), Myron Healey (Rafe Sanders), John Alderson (Clyde Walters), Harry Harvey, Sr. (Elam King), Robert Warwick (Brother Abraham). 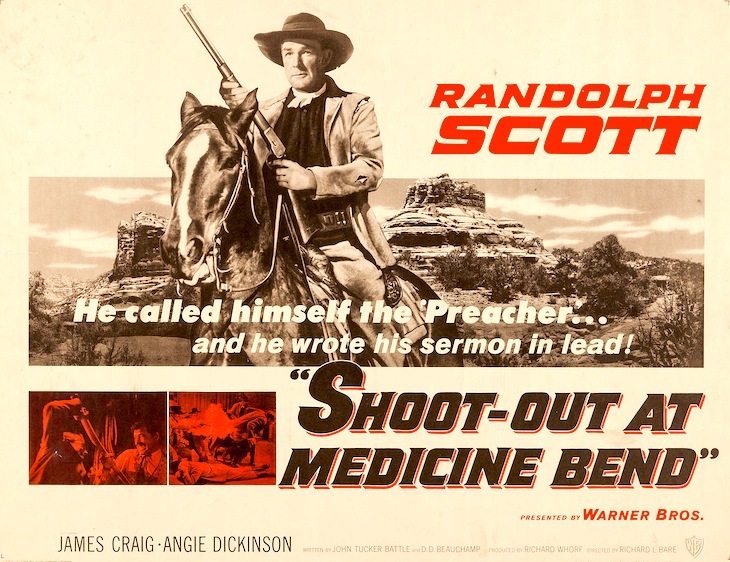 Shoot-Out At Medicine Bend (1957) sticks out like a sore thumb in Randolph Scott’s filmography. It sits right in the middle of the Ranown cycle (coming between The Tall T and Decision At Sundown) — a cheap little black-and-white contract killer shot on the backlot in 19 days by a crew (and sometimes cast) more accustomed to TV than features. 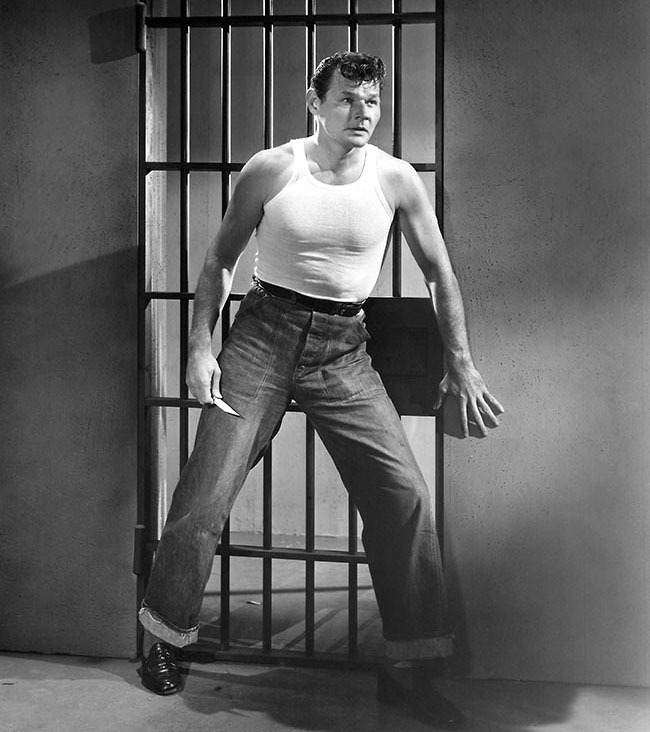 It’s known more today for the early work it gave Angie Dickinson and James Garner than for Scott’s participation. Bare made a name for himself in shorts like the McDoakes pictures, directed a few features, then really found his place in early TV. 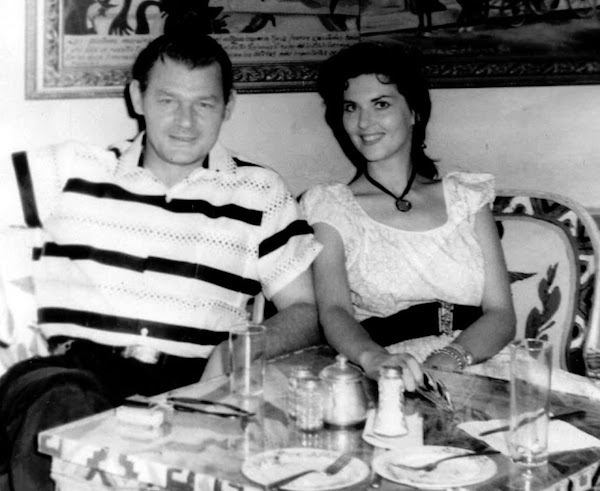 He directed episodes of both Cheyenne and Maverick (he discovered James Garner in a bar on Sunset), and would go on to direct everything from The Twilight Zone to Green Acres (over 150 episodes of that one). The soldiers are Scott, a pre-Maverick James Garner and Gordon Jones, and their journey takes to them to the rather lawless prairie town of Medicine Bend. 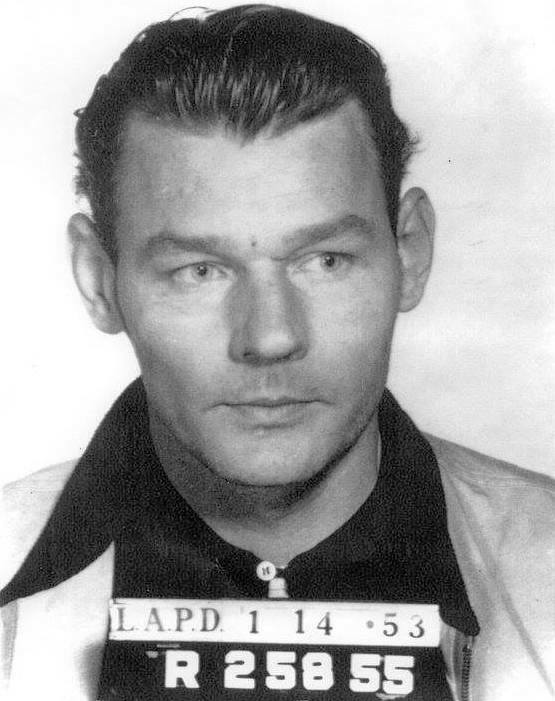 Ep Clark (James Craig) runs the town and quickly winds up in Randy’s sites. It’s a bit convoluted and goofy, and often played for humor. The action scenes are well done, and the film has the look and feel of a longer-than-usual Warner Bros. TV Western, which works just fine. Garner’s inexperience shows (“…my acting still wasn’t very good”). He lacks that supreme cool that came later. Angie Dickinson was two years away from Rio Bravo (1959), and comparing the two films, it’s amazing how much she developed as an actress during that time. (How much of that was Hawks’ doing?) 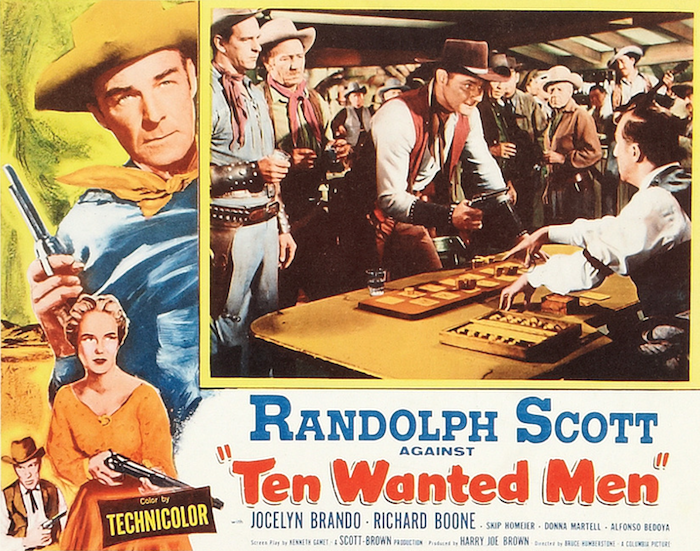 Randolph Scott is, of course, Randolph Scott, and he handles the lighter, humorous stuff with ease. As he masquerades as a Quaker, his delivery makes the most of each line of dialogue. It’s fun to be in on his ruse. Warner Archive has given Shoot-Out At Medicine Bend a level of respect it’s probably never received before. It looks great, framed to the proper 1.85, with the contrast dialed-in just right. The audio’s got plenty of punch, letting Roy Webb’s score really shine. You might come to this one with high curiosity and low expectations. My advice: enjoy it for what it is. Recommended. 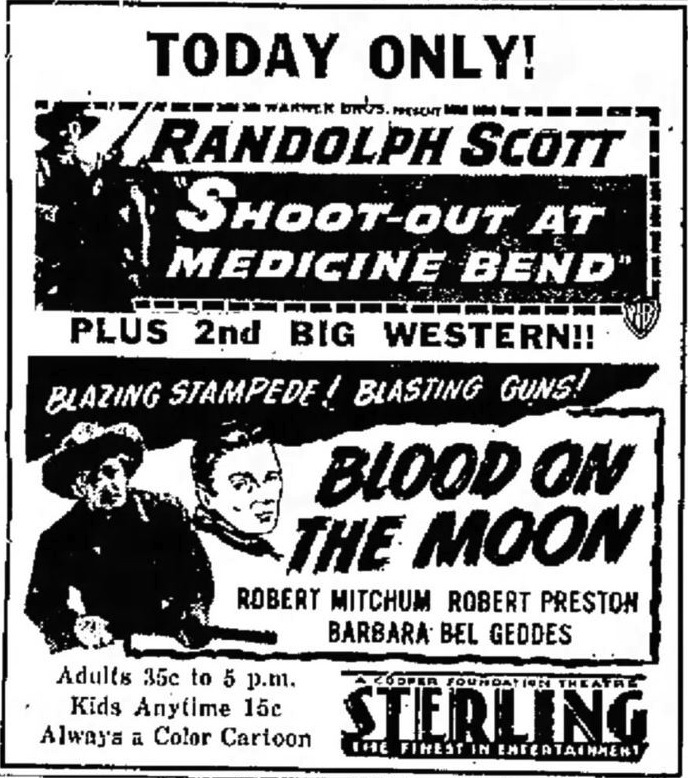 50s Westerns DVD News #160: A Great Big Week For Warner Archive. For us Westerns fans, Warner Archive’s on a real roll this week. 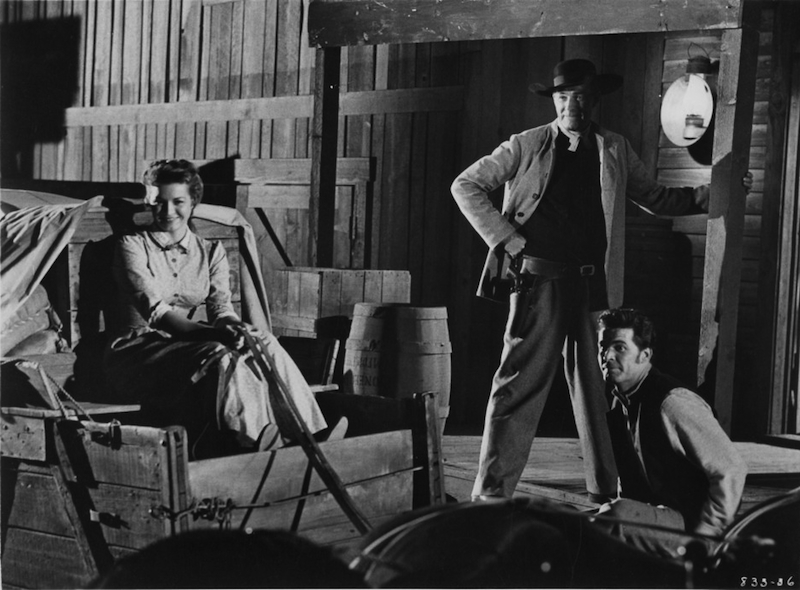 In addition to Nick Ray’s The Lusty Men (1952), and Randolph Scott, Angie Dickinson and James Garner in Shoot-Out At Medicine Bend (1957), there’s some good Allied Artists stuff available today. 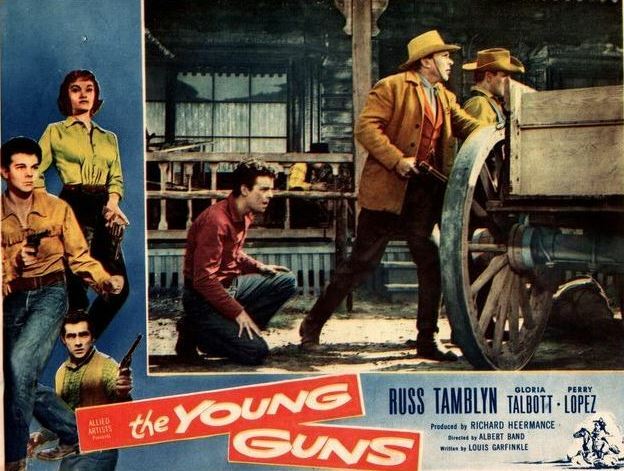 This one mixes the Western with your typical 50s juvenile delinquency tale, beating both The True Story Of Jesse James (1957, Ray again) The Left-Handed Gun (1958) to theaters. 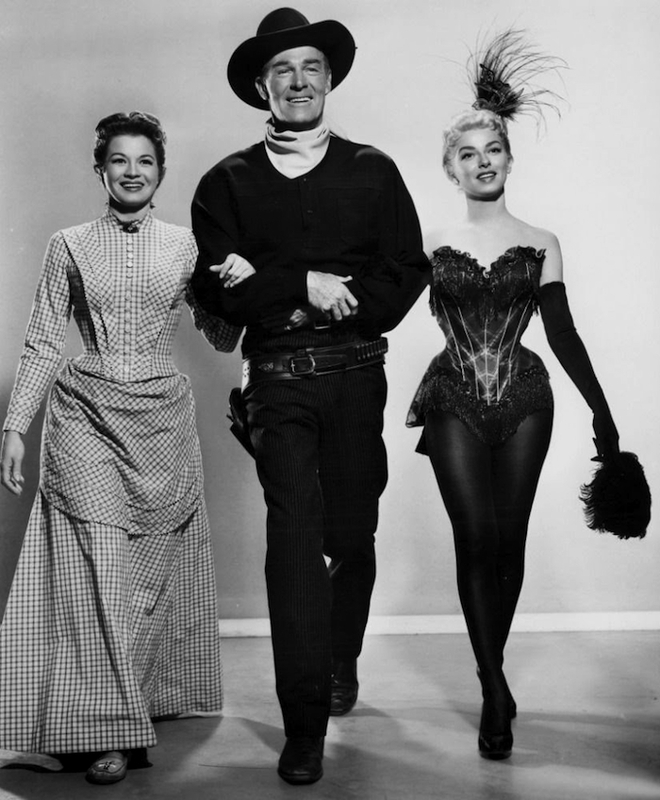 A couple Allied Artists pictures that were Oldies.com exclusives are now standard Warner Archive titles: Oregon Passage (1957) and Gunsmoke In Tucson (1958). 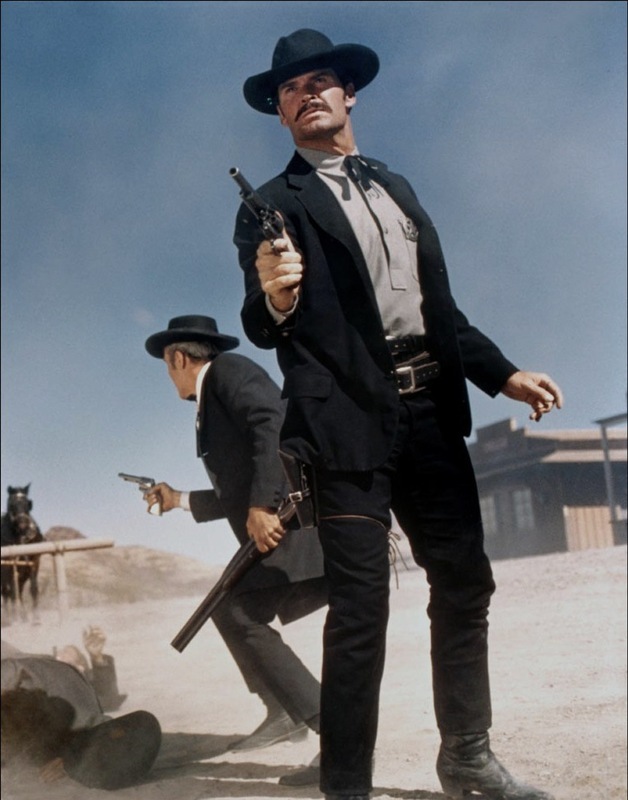 And if that’s not enough, there’s Raton Pass (1951), Russ Tamblyn again in Son Of A Gunfighter (1965) and a couple spaghetti westerns, including one, Ringo And His Golden Pistol, from Sergio Corbucci. Told you it was a good week. 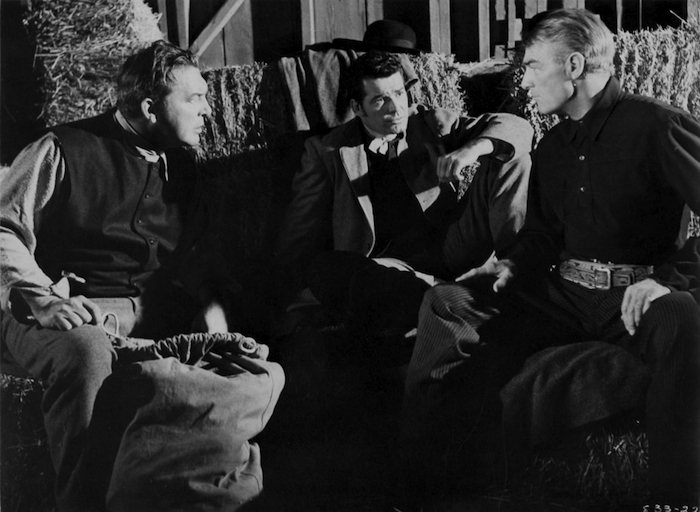 TCM Alert: Shoot-Out At Medicine Bend (1957). Warner Archive, what’s holding this one up? Some celebrities, you’d swear you actually knew them. Maybe you invite them into your home every week (through your TV). Perhaps you can’t remember a time when you weren’t aware of them. Or it could be that they just come off so real. All of those apply to James Garner. 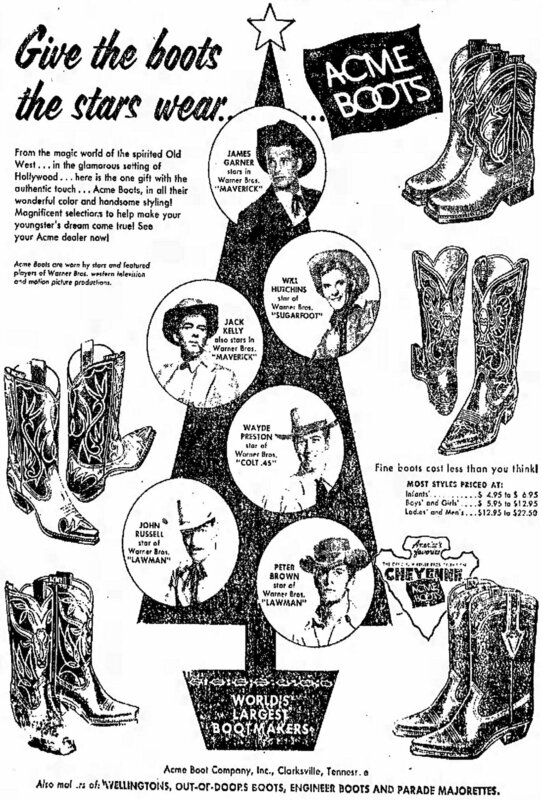 Garner didn’t make much of a mark on the 50s Western, at least not in theaters. 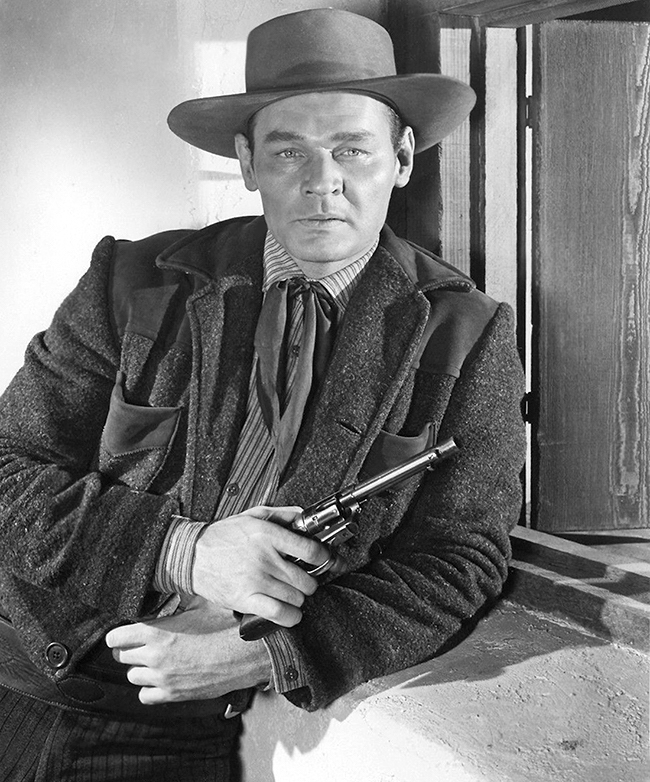 (1957’s Shoot-Out At Medicine Bend is the only one he did.) 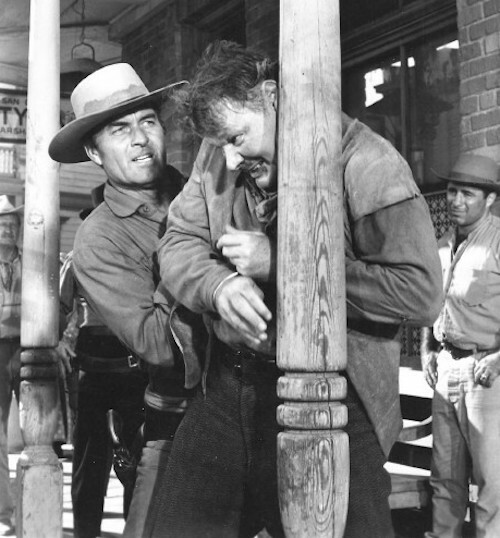 But his Maverick is still a milestone in Westerns on TV. And John Sturges’ Hour Of The Gun (1967, above) is one of the best post-50s Westerns out there, largely due to Garner’s performance — and one of the most sadly overlooked. 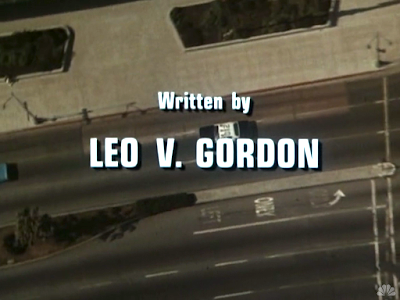 I was 10 years old when The Rockford Files (below) debuted, and after binge-watching it countless times over the years, I’m convinced it’s the greatest TV show ever. If I ever fall into a lot of money, you can bet that a gold mid-70s Pontiac Firebird Esprit will find its way to my driveway. But there’s so much more. The Great Escape (1963). Grand Prix (1966). Marlowe (1968). Those great Doris Day pictures. Support Your Local Sheriff (1969). I’m just getting started. I’m not making a lot of sense here. 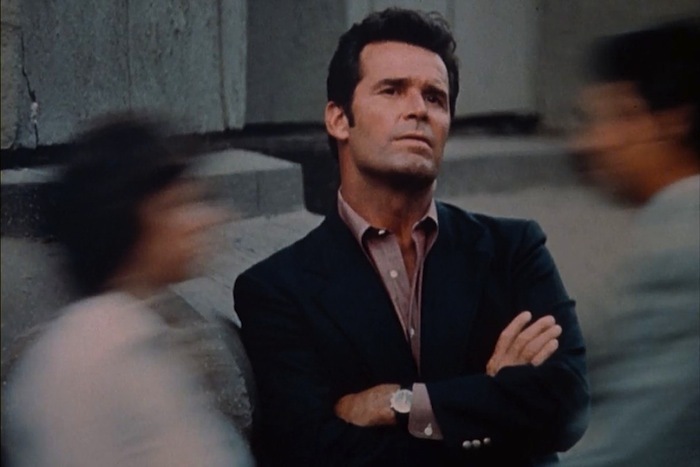 Thinking of James Garner and his body of work is a bit mind-boggling right now, and I’m struggling to find a coherent thread through it all. So I’ll just say I miss him already and thank God we can continue to benefit from his talent. Visit Laura’s place for her thoughts on Garner. An obituary is here.